Meeting point: The tour starts and ends at the domestic airport in Reykjavík. Note: This tour can also be offered as a private departure. 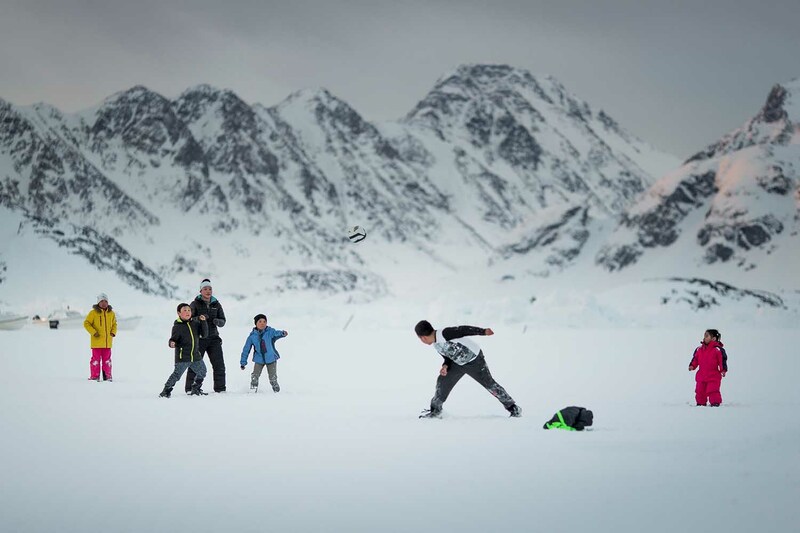 Kulusuk is a small hunter’s village on Greenland’s East Coast on an island with the same name. 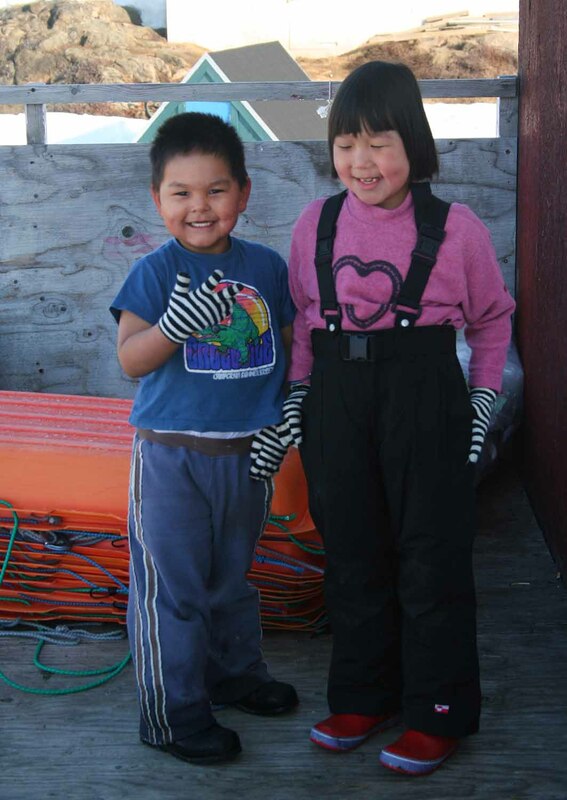 Many of the 250 inhabitants still practice the traditional activities, dog sledding, seal hunting and fishing. 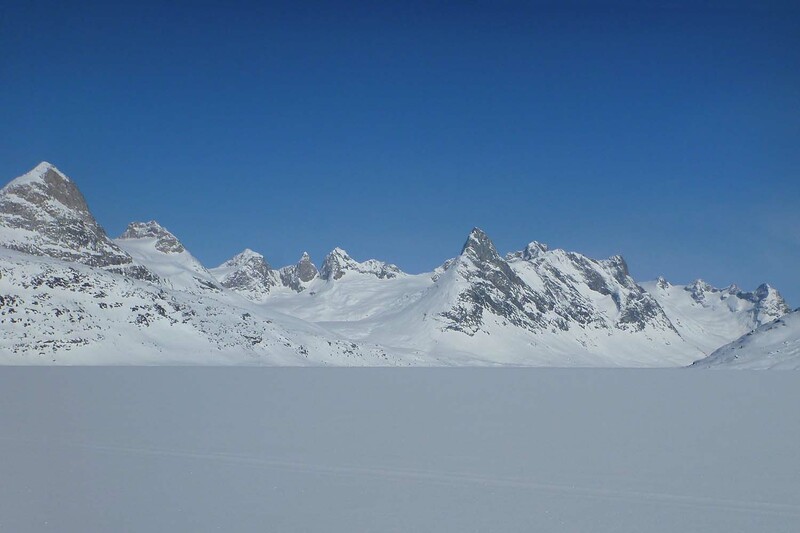 In the winter the island lies buried with snow and is surrounded by frozen waters which makes it a paradise for backcountry skiing during the long days of the late winter months. 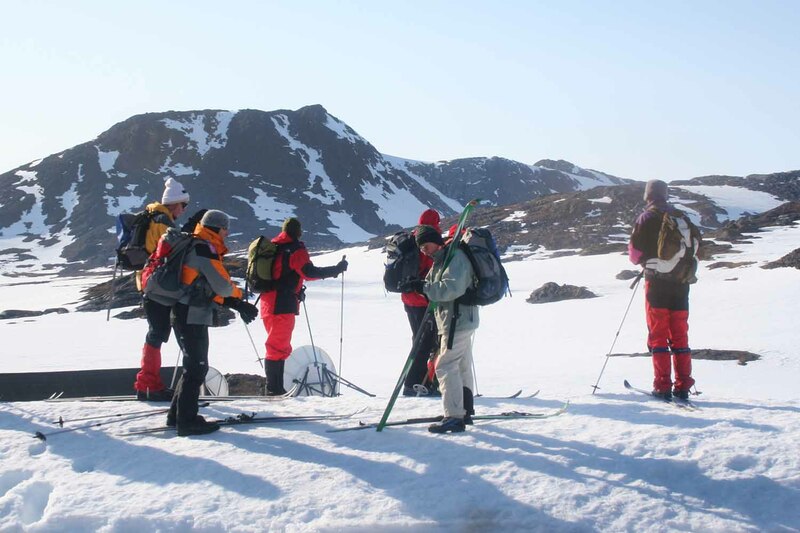 We explore the islands many features on cross country skis, and to visit the neighbor island Aputsiak by crossing the strait on the pack ice. 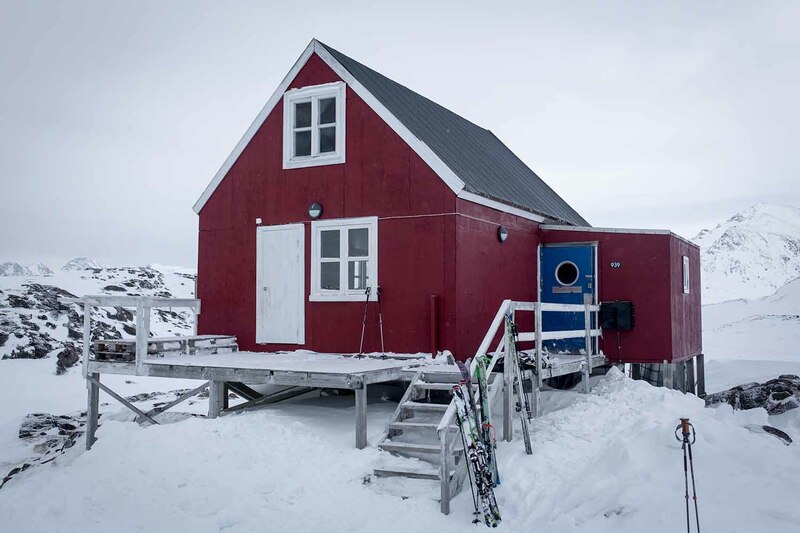 This trip uses Kulusuk hostel, a small cozy accommodation in the village, as a base for various day tours across the snow clad surroundings. 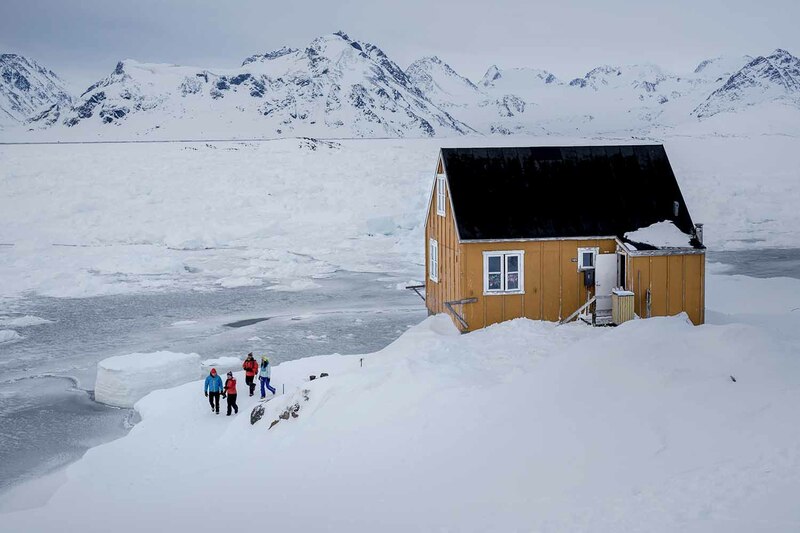 We will visit the village, shop with the locals in the only store in town, climb snow hills, ski past icebergs, watch the hunters pass on their dog sleds and enjoy cozy evenings and good food. A truly authentic experience. D1: Reykjavík - Kulusuk. 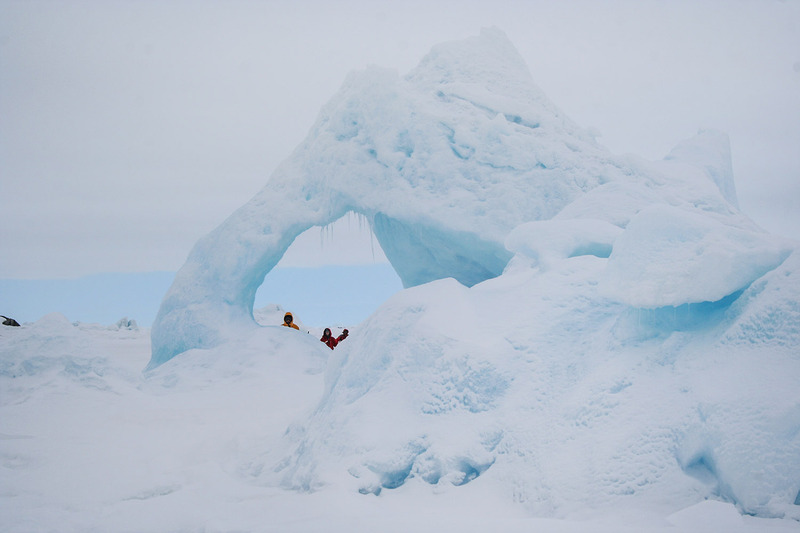 D2 - D5: Skiing around Kulusuk and Apusiak Island. 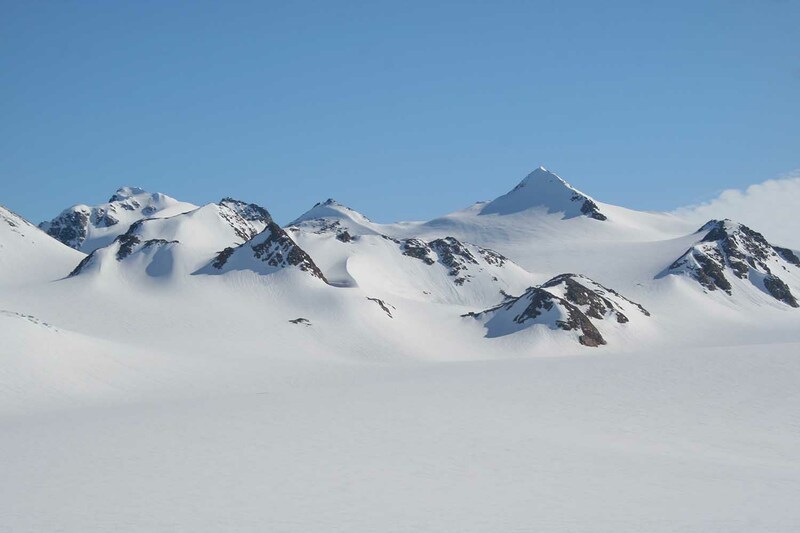 D6: Kulusuk - Reykjavík. Included: Guide, breakfast (5), lunch (5), dinner (5). 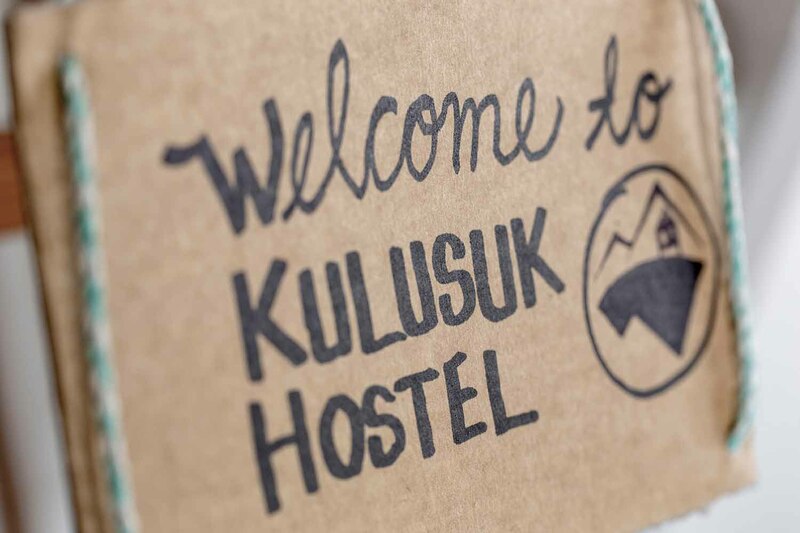 Accommodation: Kulusuk hostel mountain hut style sleeping bag accommodation (5 nights). Flights for Reykjavik-Kulusuk-Reykjavik are from 753 Euros. The price depends on the available flight seat on the concerned date. Please note: The tour starts and ends at the domestic airport in Reykjavík. 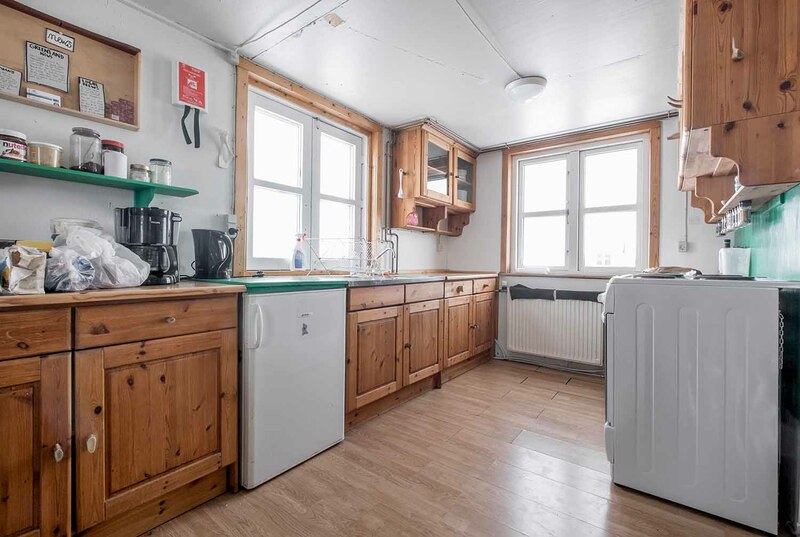 Accommodation in Reykjavík can be added. We arrive to Kulusuk in the early afternoon. At the airport we load our luggage on to a snowmobile and then put on our skis to ski to the village of Kulusuk (3km/2m). 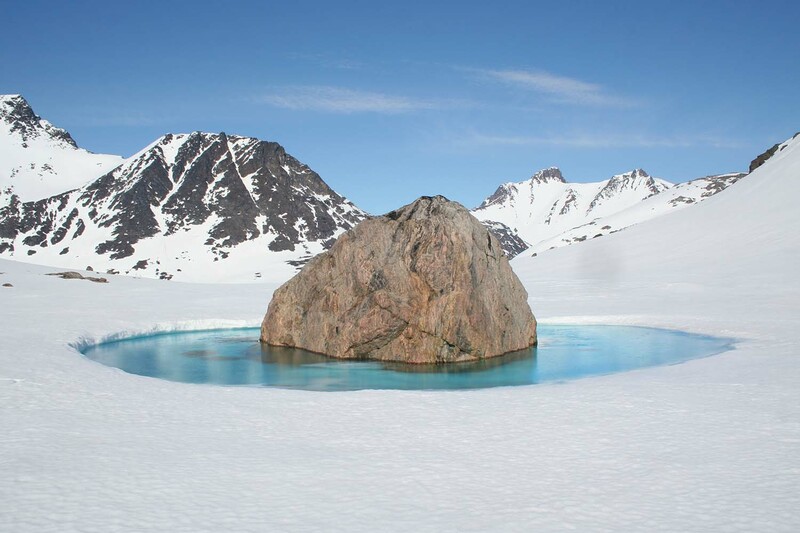 Kulusuk is a village of some 300 inhabitants. 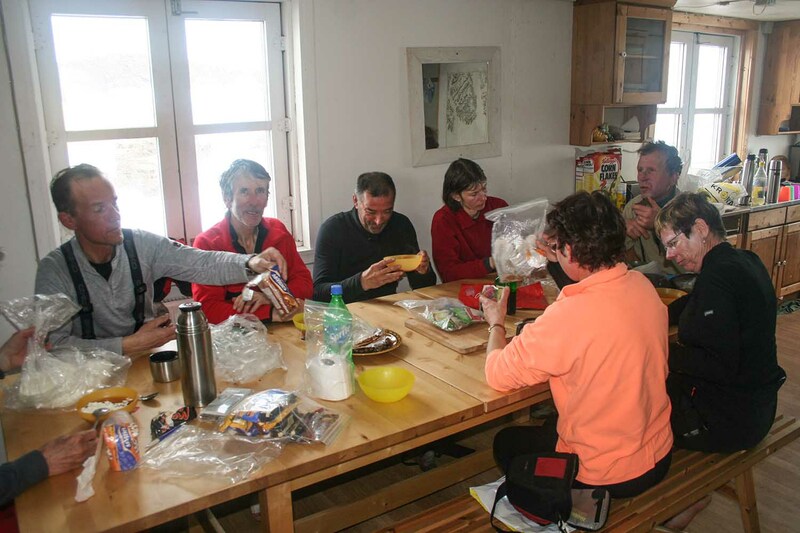 We settle down in our small hut style hostel before putting on our skis again to have a look at the village and its surroundings. Skiing: 3 to 4 hours. Ascent/descent: 150 m.
Today we will ski to the site of the Cold War radar station Dye 4 at Kap Dan. The radar station has been dismantled and now it is a great view point over the massif amount of drift ice that comes all the way from the North Pole some 2700km (1650 M) further north. To the west we will see the mountains of the neighbor Ammassalik Island and to the north Aputsiak Island. Total distance is 17 km (10,5 mi), 5 to 6 hours. Ascent/ descent: 300 m.
Following the dog sled trails on the winter pack ice, we head towards Aputsiak Island, past many small rocky islands and stranded icebergs. Arriving to the Aputsiak Island we will follow its rocky cost to the glacier that crawls down into the sea in a small bay. After enjoying the view we head back to our warm and cosy house in Kulusuk, hoping to meet some hunters dog sledding back home from their seal hunting. Distance 18 km (11 mi), 6 to 7 hours. Ascent/descent: 100m. Today we head for the straight between Kulusuk and Aputsiak Island, a place where icebergs strand and stay for the whole winter. 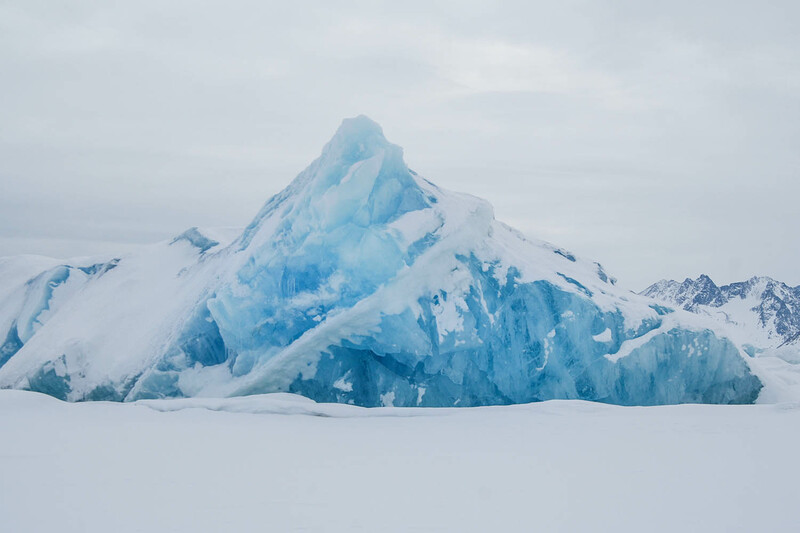 Our goal is to admire these ice giants of endless forms and shapes. We ski back in the early afternoon to go visiting Justine, a local lady that has a private collection of tools and items from ancient times. We will also drop by in the local shop to stock up good food for our last dinner. Cosy warm chocolate at our house will be the perfect end of a good skiing day. Skiing: 12 km (7,5 mi), 5 hours. 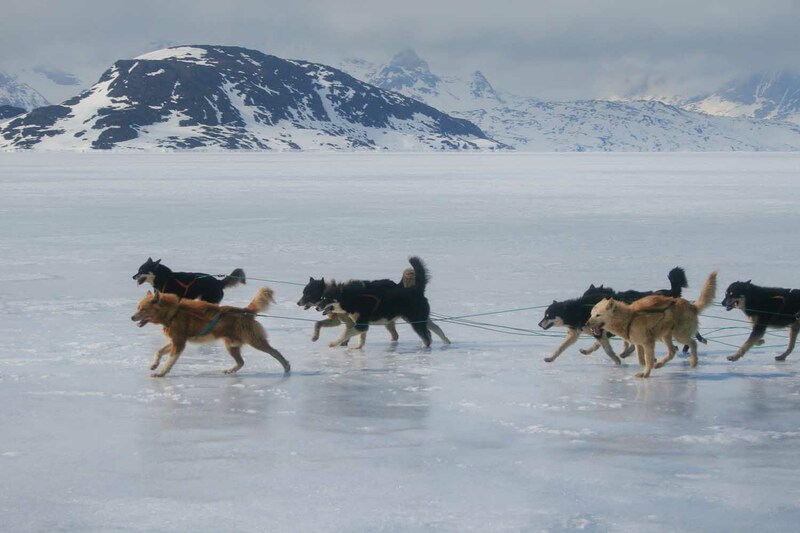 Ascent/descent: 100 m.
Today we follow the dogsled trail from the village and then over to a small rocky island. 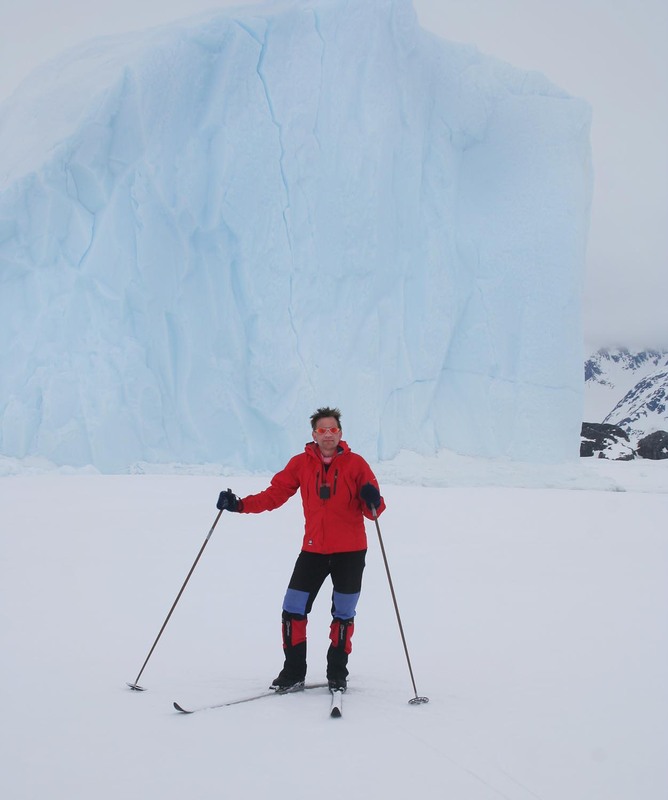 We ski over the island over to the edge of the open waters of the Ammassalik fjord, where from we see the ice edge of the winter ice between our island and the next one. 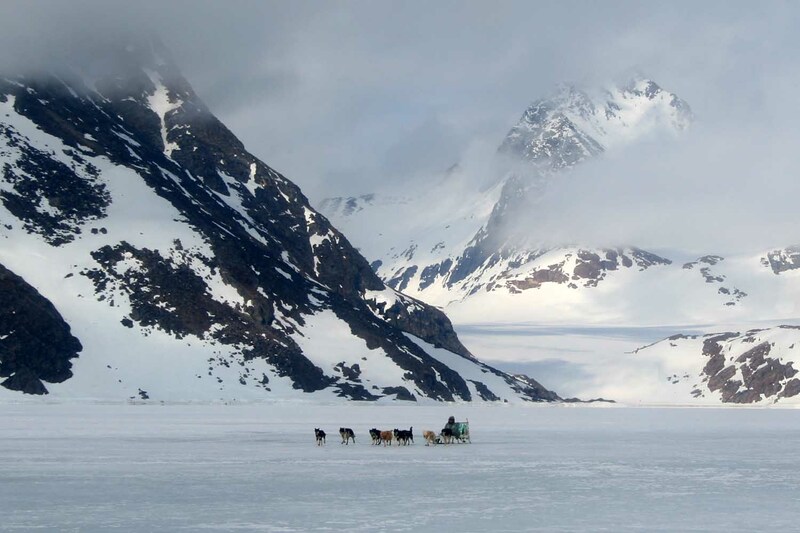 The local hunters go to this ice edge to fish and hunt as they have done for centuries. 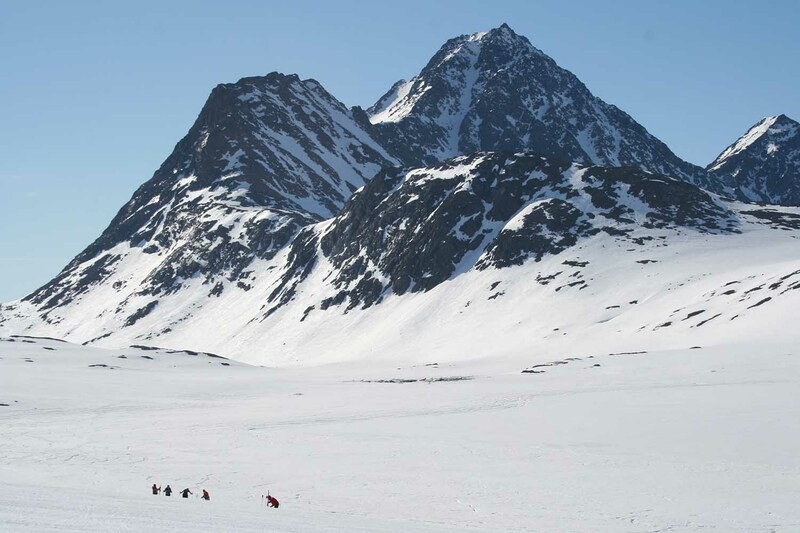 We make a loop and take another way back to Kulusuk. Skiing: 14 km (8 mi), 6 hours. Ascent/descent: 100 m.
After a good breakfast we have a last short ski tour around the village before we head to the airport and say goodbye to Kulusuk and its beautiful surroundings. Flight back to Reykjavík in the early afternoon. Skiing: 5 km, (3 mi), 2 hours. Ascent/descent: 100m.